I’ve been receiving lots of questions asking about my skin care routine & which beauty products I use, so I thought I’d answer them all here in a beauty blog post for you! Growing up I experienced typical teenage breakouts and acne but this continued into my 20’s, and it wasn’t until I changed my diet that my skin dramatically improved. The key factors that I personally found improved my skin & that I still follow to this day to keep my skin healthy are 1) drinking lots of water 2) eating an abundance of fresh veggies and fruit 3) following a Pescatarian diet – I eat fish but no other animal products 4) avoiding chocolate, high sugar sweets, soft drink & alcohol. As well as nourishing my skin with healthy food from the inside out, I also follow my own healthy skin care routine. My routine starts with washing my face with morning and night. 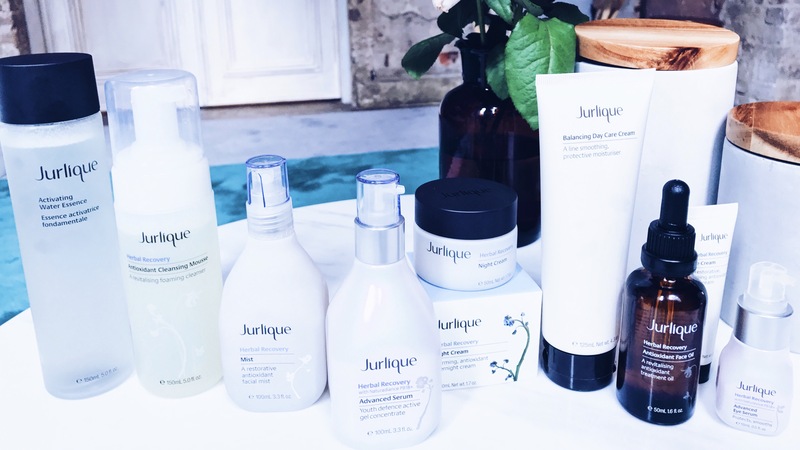 I use the Herbal Recovery Antioxidant Cleansing Mousse from Jurlique. I then use use a toner & Activating Water Essence, both from Jurlique. Then I apply my serum. I’ve recently started using Lira Clinical Pro Lite which helps lighten and brighten skin tone. It contains Sea Fennel Plant Stem Cells, Gooseberry and Mulberry extracts which have anti-inflammatory, antioxidant and redness-reducing properties. 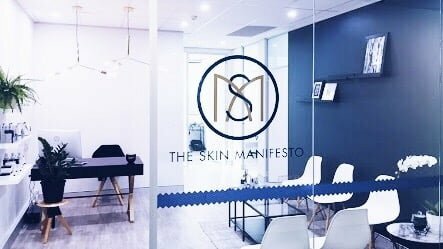 I was recommended this serum from The Skin Manifesto at Miranda where I’ve been receiving facials from and I absolutely love this serum! Then I put on my moisturiser and thanks to the advice of The Skin Manifesto, I’m trying to remember to use an SPF every morning. In the past, I found that sunscreens would clog my skin, but the new one I’ve been using by Beaute Pacifique. And at night, I use Beaute Pacifique which The Skin Manifesto recommended and I love the thickness of this cream! It provides the skin with two forms of vitamin A Easters to rebuild the collagen fibres structures & leaves my skin feeling rejuvenated. Once a week I also use an exfoliating or deep cleansing scrub and a hydrating face mask & I like trying all different brands out for these depending on how my skin is feeling. When it comes to the skin on my body, I regularly exfoliate and also use Lucky Body Fondant Body Cream from Kester Black. I also use Kester Black‘s nail polish and have so for years. I love Kester Black not only because they have the most gorgeous range of colours (my favourite is pictured below), but they are also cruelty free, vegan and made in Australia. Editors Note: This is an unsponsored post. I was gifted some of the lovely products I mentioned above and still choose to use them to this day.